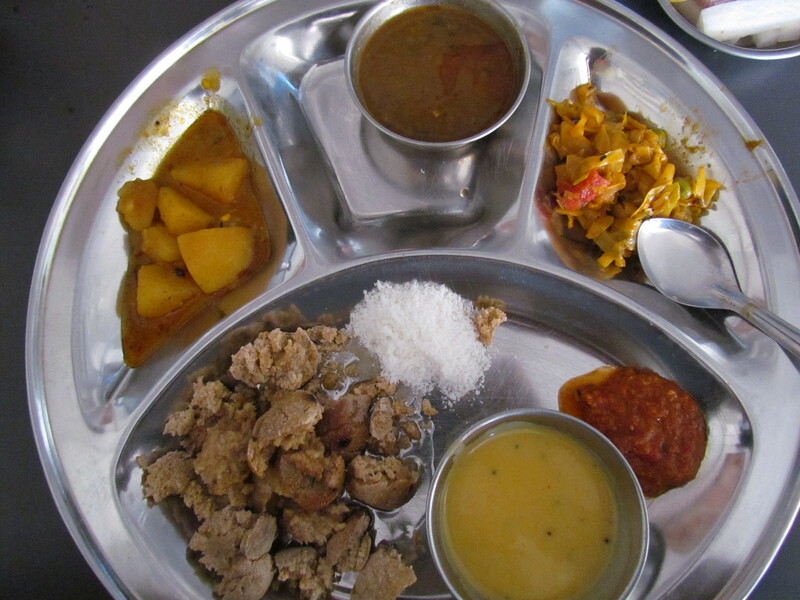 Excellent Dal, baati, Choorma, Subzi – one of the best I have had so far. 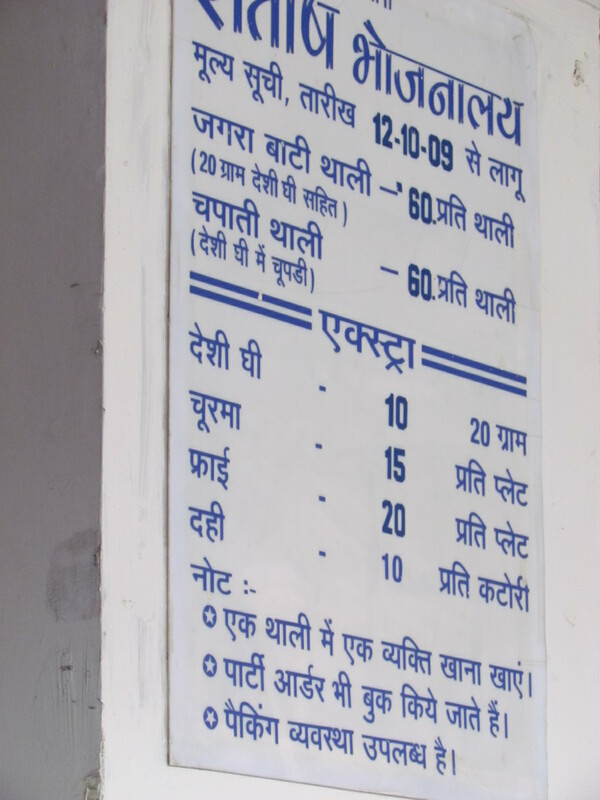 There r only 2 options of food in this very focused restaurant – Daal, Baati thali or Daal Roti thali. Needless to say, since we were visiting Jaipur & wanted to taste the local fare, we ordered for the Daal baati thali. The baati is basically round atta balls baked in fire & brought to the table. Then it is crushed by hand infront of u & served. A tablespoon of liquid ghee s poured on top. In the different compartments of the thali were obviously the daal, a potato curry & a cabbage curry & kadhi. The potato & cabbage curry were normal – good, but nothing different or outstanding. Kadhi was excellent – not too sour, flavorful, spiced up. The daal is the show stopper specially when paired with the baati ……….. wow. Surprisingly the daal is tasty but not as thick as the Daal makhani that we have in Punjabi joints. A garlic chutney that was served was tasty, spicy, tangy & hot. They also serve rice in case u need more cereal. For people who r not cereal guzzlers, the rice is not needed & 2 batis can easily floor them – quite heavy. 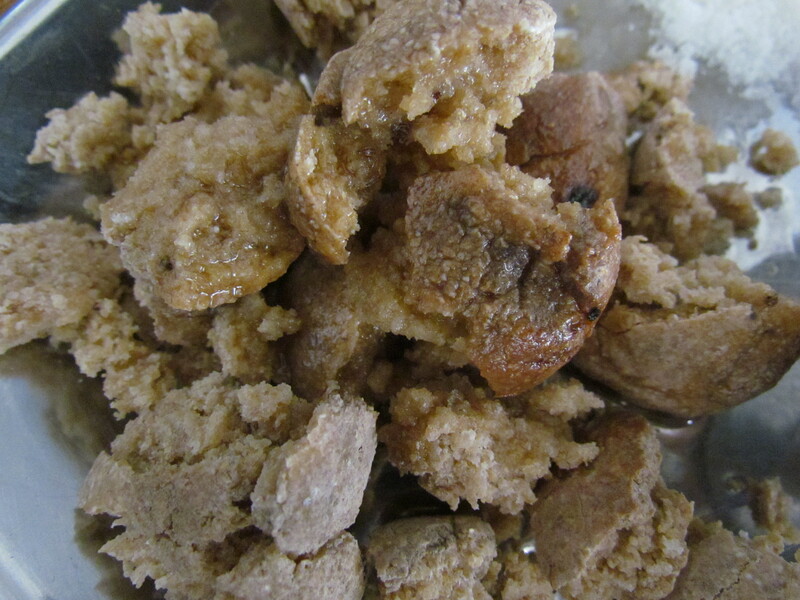 Choorma is a sweet dish – crushed baati with ghee & sugar. We did not have the space to try this one here though. If u want to try traditional Daal baati choorma, this is the place to b in Jaipur.